Bright, beautiful & fully renovated, this two-bedroom condo has just the right amount of sparkle to knock your socks off! The kitchen is modern, with beautiful espresso cabinetry, glass backsplash, and stainless steel appliances (including dishwasher and microwave) plus an on-trend contrasting island with glowing walnut butcher block. 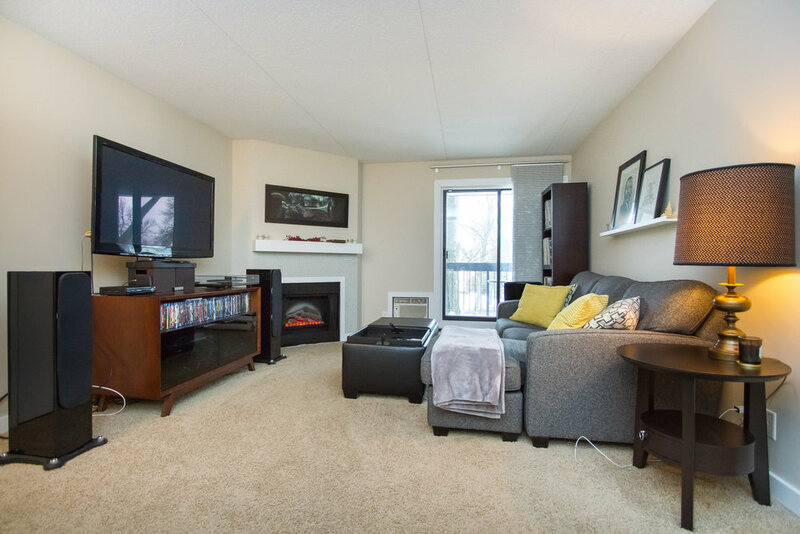 The living room is bright with a warm electric fireplace and huge patio doors leading to the massive west-facing patio that is big enough to host a dinner party but also cozy enough for winding down on lazy summer days. 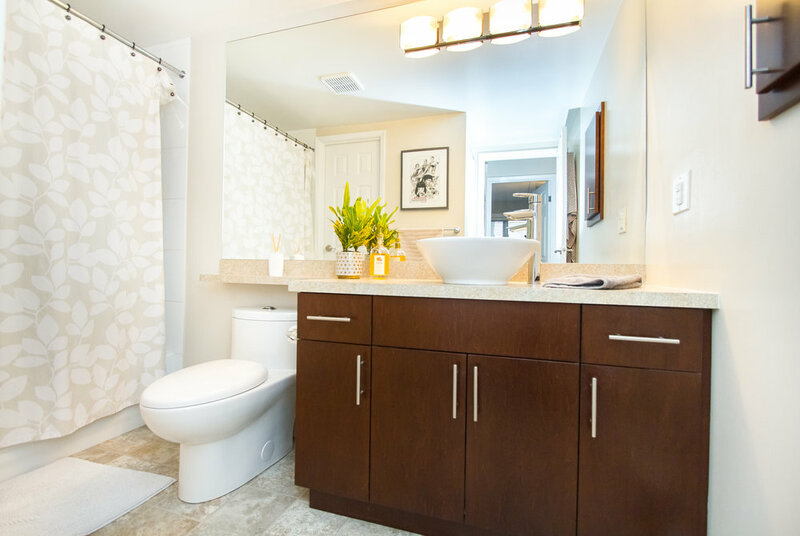 The bathroom is nicely updated, and features a gorgeous vanity with vessel sink and new fixtures. The master bedroom is large with a massive walk-in-closet with a dressing table and custom organizers—major wow factor for this price point! The second bedroom is also roomy, and has a big & bright window. One outdoor parking stall is included, and the current owner rents a second stall, which can be assumed by the new owner if desired. There is a locked storage area on the deck, laundry is included, and 1 pet under 50lbs is welcome. 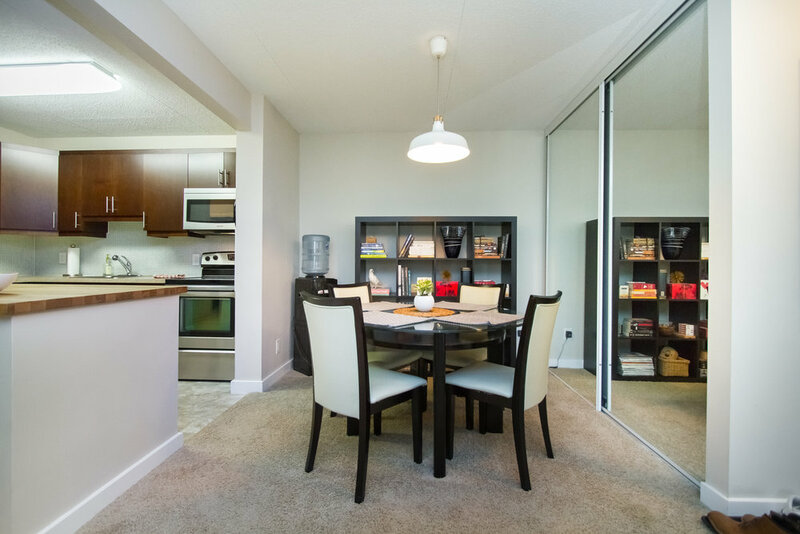 Walking distance to transit & parks--all you have to do is move in and enjoy!